As some of you might have known, The Pokèmon series has turned into one of those annual release types of series like your Call of Duties and Assassin’s Creeds , for mainly Western Audiences, with each year since the American release of Pokèmon Platinum having a new release in the series. This seems more likely to expand to Eastern Audiences with the Worldwide release of X/Y back last year. The year is 2014 and many of you are wondering what outing we’ll be having in the ever growing World of Pokèmon. 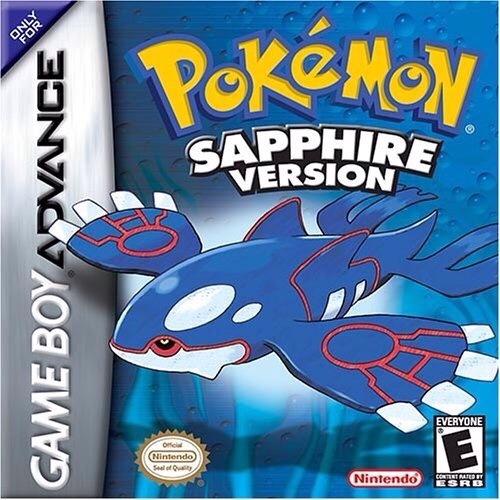 With many signs pointing either at sequels for X/Y or remakes of Ruby/Sapphire remakes, I’m here to tell my case why we’ll be seeing a Ruby/Sapphire remake come this year. And with that, I begin. There are more like this beginning sometime as soon as Diamond/Pearl but not having as much effect as hinting to remakes as soon as HGSS. But the big key point on why I think they’re coming this year isn’t as deep as what we see on the surface. My key point on why I think they are coming this year all deals with the details found in XY’s coding. If you have noticed, There’s data in XY for a Mega Latios and Mega Latias (two of Hoenn’s Legendary Pokèmon). Megalutions are going to be the key to the plot of this year’s Pokèmon film “Cocoon of Destruction”. Now why does this seem relevant to the RS remakes? Well, Let’s now take an even deeper look than that. Usually in February, The Monthly Japanese Children’s Magazine, CoroCoro, reveals the key Pokèmon of the summer’s film. This year we got a potential of either having Diance (a mythical Pokèmon) or the Mega Lati@s. Now if you take a look at what the film is going to be about, You’d probably cut out Diance and say they are going to be the Mega Lati@s; but, they can actually “Have your cake and eat it too” if the point with the Legendary Beasts in movie 13. Taking a Movie 13 side of to the Mega Lati@s, We’re more than likely have a Latias and a Latios distribution to go along with the Movie via pre-order movie tickets for Japan and some retail outlet like GameStop here in the states. So… you may wonder what this has to do with a tie in to RS remakes; well, Let me explain on this. Usually in these situations, Event Pokèmon like Shaymin and Regigigas for Movie 11; Pichu and Arceus for Movie 12; Celebii and the Legendary Beasts for Movie 13; and more recently with Keldeo for Movie 15, they’d have a specific tie-in with the upcoming games. With both facts that you would that the Lati@s would have to tie into something with Southern Island and that Latianite/Lationite (this is what their Mega Stones are probably called) can’t be obtained in XY, this would have to point to Ruby/Sapphire remakes. Then again, You can also say Blaziken’s Mega Stone isn’t obtainable except through events either. Lati@s and potential future Megalutions this gen with other Hoenn Pokèmon such as Sceptile and Swampert (final forms of the Hoenn Starters that doesn’t have a Mega yet), Why would GameFreak pass up the opportunity to make a lot of money from remakes that many fans as myself would say “Shut Up and Take My Money” to? With all those reasons, I think that in the next few months ,more likely next month, GameFreak and Nintendo would reveal MagmaRuby/AquaSapphire for the Nintendo 3DS and have it for a Worldwide release in the fall. Previous PostWelcome to My New, Improved BlogNext PostWhy Future Fire Emblems Should be Like Awakening.